FOCUS Selling Systems works because it is a proven and practical system centered on ethics and self-actualization and ends on caring and sharing. It is not a series of boring seminars or a compilation of how-to-books. In fact, the FOCUS Selling Systems is a hands-on, reliable and focused sales operating system created specifically for each client. Implemented and mastered, the end result is a predictable larger and more profitable sale. It becomes a permanent asset for the company. FOCUS Selling Systems is an immersion-based, implementation project that was developed over decades by proven successful sales leaders for the development of a sales champion. Success to become a sales champion cannot be left up to chance or inconsistent unfocused sales efforts. 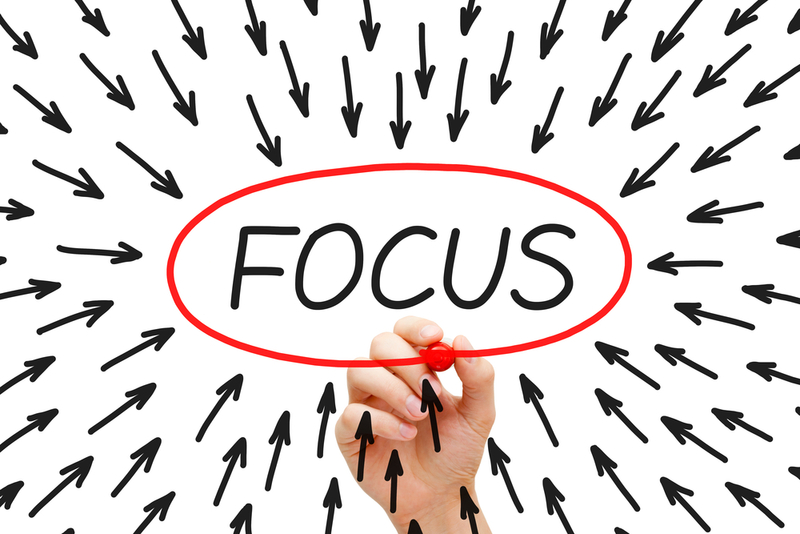 Results come only after a focused vision is adhere to by a dedicated, professional performance. FORMALIZE YOUR DETAILED SUCCESS PLAN IN WRITING! To achieve optimal sales actualization of your territory you must have a detailed plan which includes written goals for prospecting, account base, sales skills, self improvement and beyond. OPTIMIZE YOUR STRENGTHS WHILE ORGANIZING YOUR TIME! To achieve optimal sales actualization of your territory you must take full advantages of your strengths and maximize their potential while methodically prioritizing tasks and segmenting time appropriately for successful. CONCEPTUALIZE AND COMMIT TO IMPROVEMENT! To achieve optimal sales actualization of your territory you must deliberate on your strategy never acting upon haste and emotion, but always in a confident and composed manner while visualizing the successful outcome of your task. UBIQUITIZE YOUR IMAGE AND PROSPER! To achieve optimal sales actualization of your territory you must pursue an omnipresent image whereby the continual pursuit to blanket your deserved niche with more professional contacts and proposals, continual prospecting and punctual follow-ups is not compromised; get your valuable name everywhere.... always! To acheive optimal sales actualization of your territory you must understand that luck is irrelevant and that it is a irresolute byproduct of effort; success comes through a relentless, professional and focused energy with a visualized, favourable outcome - success is systematic - it's a forumla - guaranteed! "The attainment of F-O-C-U-S furnishes a vision. It is this vision that through continual refinement consumes the champion to achieve goals never before conceptualized. In the champion’s life there is but one ultimate equalizer and competitor - TIME, and only F-O-C-U-S will reign supreme." To Learn More About Our Sales Operating System or to Schedule a Time to Discuss Your Sales Needs, Click on the HELP Button Or Call Us at 1-800-701-6875.